Swedish car manufacturer Volvo has started campaigns aimed at making traffic accidents a thing of the past. The main goal here is to completely avoid traffic accidents caused by Volvo vehicles by 2020. The other campaigns include testing self-driving cars and making cycling safer than ever, because over 19.000 cyclists get injured on UK roads every year. 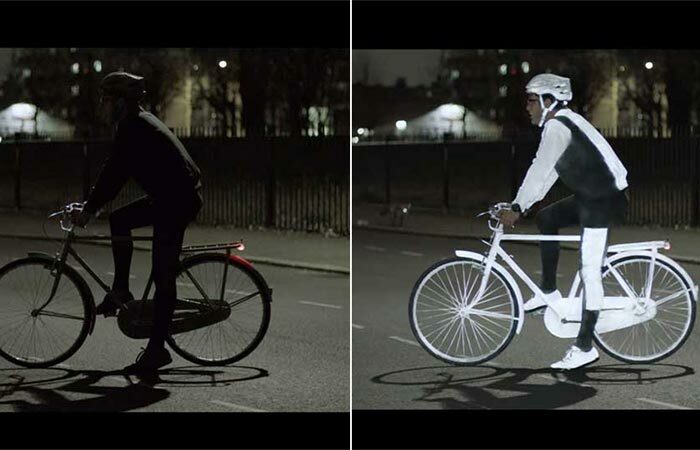 All of these campaigns are under the umbrella of their Vision Initiative and Volvo has released Life Paint, a spray paint which is invisible during daylight and shines bright when the covered surface gets hit by a light source, most notably headlights. 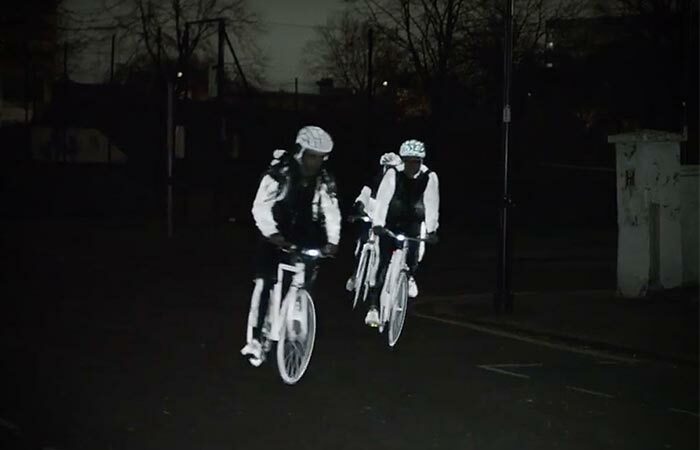 This makes cyclists extremely visible even under conditions of extremely low visibility. 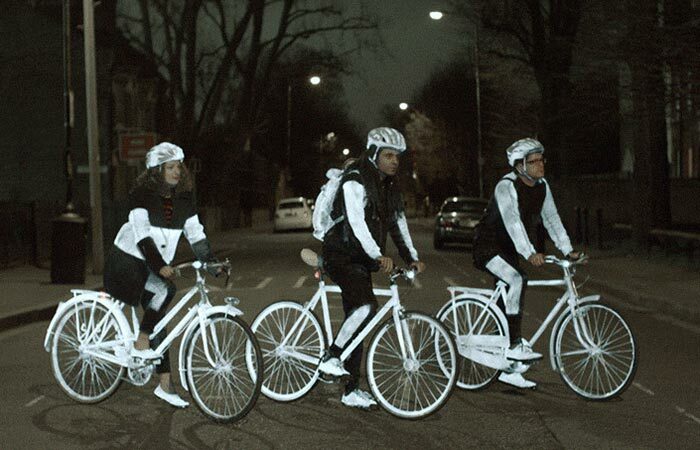 Hats off to Volvo for making this move because apart from being easy to use, Life Paint currently seems like the safest bet when it comes to keeping yourself safe while cycling at nighttime. So how does Life Paint work? Life Paint is easily applied to almost any surface. You can use it on your helmet, coat, and of course bicycle. You can apply it to the rims of the wheels or even certain body parts of the bicycle. If you want to feel even safer, coat your entire bicycle in it if you really want to. Very simple isn’t it? After you apply this paint to whatever you want, it will not make the surface feel or appear any different and it won’t be visible during the day. This opens the door to other applications; you can put a coat of this paint on a child’s backpack to make it more noticeable in areas where there is a lot of traffic. However, it doesn’t have to end there. The elderly can also apply it to increase their safety and you can even use it on the collars of your pets if you are worried about them. This product was made by Volvo in a cooperation between a UK ad agency Grey London and a Swedish startup called Albedo100 and their promotional campaign includes a short film in which injured cyclists talk about the perils of cycling in areas where traffic is dangerous (check it out below) and dark posters which reveal their message when exposed to the flash of a camera. But the most important part of this campaign are the free samples of Life Paint which are being given out in several bike stores in London. If the community likes the application of this product then Volvo will make it internationally available. Let’s hope this idea does the trick and Volvo’s idea of “the best way to survive a crash is not to crash” becomes real.